We offer USDA compliant Food program. Morning breakfast, Lunch and afternoon snacks are freshly prepared daily and provided by the preschool at no additional cost. Menus are generated every week. A copy of the menu is also posted on the parent board (located in the main entrance hallway). Ace tot Preschool accepts "drop-in". Parents who really "must" have childcare by the day should call and make reservations for their child. Because child-staff ratios must be maintained, we would request you to make reservation 24 hours in advance. Summer Programs follow a pace that is similar to our school year. 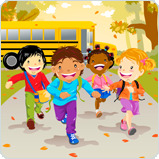 The educational program pursues weekly themes, with abundant opportunities for outdoor play and fun. Our summer preschool is staffed with the same high quality teachers who work in our school year program. To enroll for the summer program, call before the beginning of summer vacation. We believe in Dr. Howard Gardner’s acclaimed theory of Multiple Intelligences. Each child is different and has a unique approach to seeing, learning about and responding to life and that education works most effectively if these differences are taken into account. Our Toddler, Two’s and pre-k curriculum along with the daily schedule provides a balance of emergent/teacher-directed activities. Each day provides numerous opportunities for cognitive, physical, social/emotional and linguistic development. We also recognize the importance of play and provide children with activities that enable learning through play. In the Pre-K program curriculum we provide children with daily Enrichment Learning lessons offering small group instruction in Spanish, Life/Animal Science, Sign Language, Maths, Computers & Life Skills. Our Letter and Literacy Program. We believe that reading is the key to unlock the door to Success. Reading helps develop Phonological awareness and enables the child to hear and manipulate individual sounds of spoken language. 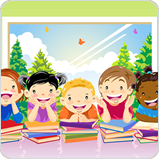 We read books which are intended to offer children a positive Preliminary Reading Experience. The use of print books help children learn how to handle books and display their recognition and awareness of print and book conventions such as: left to right progression of print; difference between words and letters; hints that specify beginnings/endings of sentences; the fact that print (not pictures) contains the meaning of a story; features of book (back and front covers, page numbers, name of authors’ and illustrators’); literacy forms (Themes, Plots, settings, characters etc.). Used as a part of systematic early literacy instruction, reading books also provide children opportunities to develop and increase: alphabetic knowledge; listening and speaking skills; word recognition; and vocabulary. Now Enrolling Toddlers and Preschoolers. Contact us to schedule a Tour!